Since last May 27, the lending company with which I am currently working for as a freelance loan consultant has stopped offering the OFW loan. The reason why most if not all lending companies as well as banks had to stop offering the program is due to high delinquency rate. If you do not know what the term means, I have an initial definition based from an online research I just conducted for the purpose of information and clarification below. Deliquency Rate – The percentage of loans within a loan portfolio that have delinquent payments. The delinquency rate is simply the number of loans that have delinquent payments divided by the total number of loans an institution holds. Typically, delinquency rates on loans are affected by the credit quality of the borrower and macroeconomic factors such as unemployment. 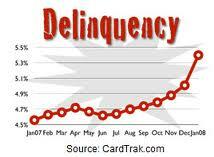 Typically, only loans that have payments more than three months overdue are considered delinquent. Which means that if a creditor was not able to remit or pay for the credit he made for 3 months, this type of loan is considered delinquent. In simple terms of computation, this definition explains it by showing you a numerical computation example. If an lending company had 100 loans under their folder of portfolio and 10 of these lendees weren’t able to pay for their credit for at least 3 months, the equation would fall at 10/100 which is equivalent to 10% delinquency rate. The more number of creditors not able to pay, the higher the delinquency rate turnout will be. This condition, in order to be avoided must be stopped. This is the reason why some types of loans were no longer being offered event for qualified public applicants. So now that you know why OFW loan in the Philippines has been closed to the public even if you are a qualified applicant or even if you have a complete set of documentary requirements on hand. Let us now proceed with the tip in increasing your chances of getting your loan application approved. Allow me to let you know first what the different types of loans in the Philippines are currently being offered by the lending company with which I am currently working for as a freelance loan consultant. They are the collateral loans such as, car loan (without taking your car), tricycle loan, PUJ or jeepney loan and real estate loan. The other types are the business loan, doctor’s loan, salary and the seawoman or seaman loan. Among all these offers for a possible credit application, the maritime worker’s loan is the fastest in terms of approval. If you are a maritime worker or you know somebody who is an immediate family member, it is strongly advised to go for this type of loan compared to other types. Remember it only takes 1 day approval if you have complete requirements here plus the cash amount will be given to you 15 days before departure. Tip #1 – Consider applying for a fast approval loan types. 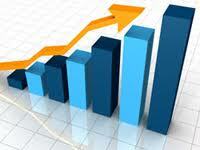 Bear in mind that all loan application depends on so many factors. First off, as I’ve mentioned above, the highest rate of approval falls under if you apply for a maritime loan. Imagine 1 day if you have all that it takes with respect to requirements? That must really be fast. The second fastest is the doctor’s loan. To see and know the different aspects, prerequisites, documentary requirements and qualification for these, please visit our loan products list above in the top menu. Tip #2 – Read carefully all requirements and ask the right person. When I say read, it means that apart from physical inspection, you must make sure 100% that you understood what you read. Meaning, if you have any questions or if there is something not so clear to you, you must find a way to ask the proper authority on the matter. If you need to ask your loan consultant, by all means, do so. If you feel you need something more, don’t hesitate to ask directly from the company or if your loan agent can’t give you a clear view, ask him if there is somebody you can talk to who can explain more of the point. Don’t be shy or afraid to ask. It will be your weapon against waste of time. Tip #3 – Know and ask if you qualify. After learning about the requirements, it’s about time to ask directly to your agent if you qualify to apply for the loan of your interest. If you don’t then ask your agent if he or she have other options or alternative offers that you can qualify after stating your case. Tip #4 – Produce all necessary requirements and enumerate them all to your loan agent or consultant. To make sure that you have the right documents, whatever you have on hand must be shown directly to your agent. This is one of the most critical point so if you arrange for a meetup, make sure to have everything else with you. Better yet, make reservations and produce other documents you think might help you in your application but be sure that you might need it by asking your agent. Remember that in all transactions, communication is the best way to make sure. Never fail to communicate when needed or if you have doubts. Tip #5 – Communicate, communicate communicate – This is the last step if you want to make sure that you loan application will have the highest rate of approval. This will help you make sure 100% that you will be approved of your loan application at the end of all the processes you’ve gone through. This entry was posted in Application, FAQ, Guide and tagged approval rate, delinquency rate, how to get approved easily, ofw loan, philippine loans, seaman loan, types of loans. Bookmark the permalink.